I was recently on nhl.com reading an article about how Taylor Hall had just broken Wayne Gretzky's record by scoring 2 goals in 8 seconds. This got me thinking about NHL records and I began remembering all these amazing records. So, I decided to compile all these records into one article and voila! Here it is. Remember that some of these records are inflated because of the era the players played in. For example, the goalies nowadays are way better than they ever were in the past. That doesn't undermine these incredible feats, it's just something to keep in mind. Also, I refused to rank these records because it is impossible to compare to them. How can one compare single season records to single game records? Goalie records to defensemen or forward records? Goals to saves or assists? It's extremely difficult. With that out of the way, let's get to the list. What better way to start the list than with Super Mario himself? No one ever questioned the talent of Lemieux, and for good reason. He is one of the most skilled, if not the most skilled player ever. These skills were on full display on December 31, 1988 when "The Magnificent One" scored 5 goals in 5 different ways! He scored even strength, on a powerplay, shorthanded, a penalty shot, and an empty netter. Players have a hard enough time scoring 5, but to do it like Mario did is 10x harder. I don't expect anyone to tie, let alone break this incredible record. Let's move from Mario to the Finnish Flash now. You may have heard of this guy as he scored 76 goals in an NHL season. Oh, and did I mention this was his rookie season? It's incredible for a player to hit 50 goals, but 76? That's just insane, especially for a rookie. 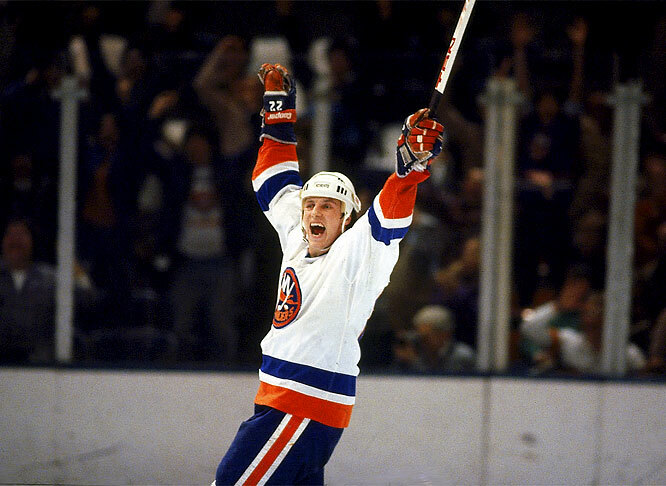 Not only did Teemu give us this unbelievable record, he also provided fans with an iconic celebration to go with it. 20 years later, he's still here, and still scoring. Although Selanne broke Bossy's rookie record, Mike still holds a record that will never be broken. Bossy scored 50 or more goals for 9 straight seasons. What makes this even more incredible is that he did it in his first 9 NHL seasons. He is perhaps the most gifted goal scorer ever, and who knows what could've happened if his career wasn't cut short because of injuries. The right winger had 573 goals and 1126 points in just 752 games! He probably would've reached 2000 points, if injuries had not cut his career short. Nonetheless, Bossy still holds a marvelous record that will never be broken. "The Great One" makes his first appearance on this list with his mind-boggling record of 92 goals in a single season. During the 1981-82 NHL season, Wayne scored 1.15 goals per game. Not points per game, goals. Let that sink in. This record has no chance of being broken. I know people said the same thing when Esposito scored 76 goals in an NHL season, but this is different. Good luck scoring 70 goals, let alone 92. From there let's move on to "Mr. Goalie". Glenn Hall holds the record for consecutive games completed with an insane 502! No goalie these days can even play close to a full season. Hall played the equivalent of just over 6 consecutive 82 game NHL seasons in a row. And may I remind you that he did it with inferior goalie equipment and no mask for most of his career. You want to talk about consistently getting the job done? Look no further than "Mr. Goalie". Let's talk about versatility shall we? 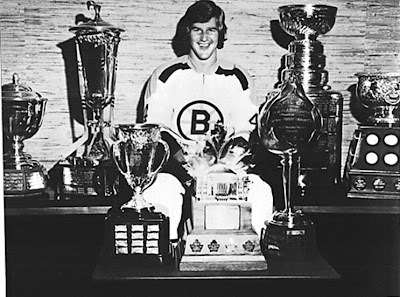 Bobby Orr did it all, and all one has to do is look at his 1969-70 NHL season for proof. Orr finished that year with the Stanley Cup, Norris, Hart, Art Ross, and Conn Smythe trophy. He's the only player ever to win all these awards in the same year, and will remain as the only player ever to do so. The Bruins must've been awfully tired of hearing the goal song, I know I was. There's a reason Gretzky is the greatest ever. Not only is he the only player ever to score 200+ points in a season, he did it four times in his career! The best total was in 1985-86 when Gretzky finished with an outstanding 215 points. He would've won the Art Ross that year with his assist total alone which is amazing. It's hard enough to get to 100 points, let alone 215. Consider this record safe. Paul Coffey is one of the greatest NHL defensemen ever, and for good reason. He is one of the best offensive defensemen to ever play in the NHL. Want proof? He scored 48 goals in 1985-86... as a defenseman. To put this into perspective, the most goals Mike Green has scored in an NHL season is 31, and Erik Karlsson has only scored 19. This current era is one where defensemen are more offensively gifted than ever, yet no one has, or will ever come close to beating Coffey's record. Next we have Bobby Orr making his second appearance on the list. Orr had an outstanding season in 1970-71. He finished with an unbelievable 102 assists, 139 points, and was a +124! That is the most points and assists by an NHL defenseman ever. Expect it to stay that way. What better way to end this list than with "The Great One" himself? There have only been 4 players to ever score 50 goals in 50 games. This is perhaps the toughest feat in all of hockey. Not only did Gretzky accomplish it 3 times, he did it in under 40 games in 1981-82. He truly is "The Great One". Well, that's all for this list. These are 11 records that, in my opinion, will never be broken. Be sure to comment below and tell me what you think. Did I miss any? Are any of these records actually breakable? Does one not belong? I'd love to hear your opinion. The Nike Air Max 90 was a huge hit when it was released. It came out in many famous colors that have been retroed many times such as the Neons, Slates, and Emeralds.